The 22nd Euro-kartoenale "The Wall" Committee has announced nominated cartoonists. They are from various countries. The nominated persons come from Belgium, France, Turkey, Costa Rica, Iran, Poland, Croatia and Rusland. 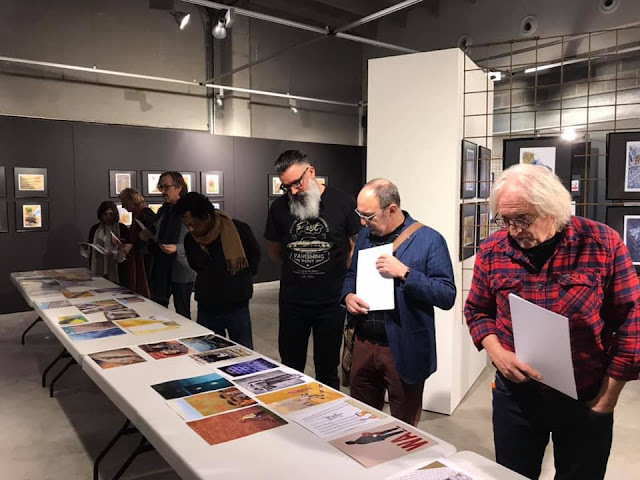 The jury meeting was held on January 25, 2019 in European Cartoon Center (ECC) Kruishoutem, Belgium.They consisted of 9 members: Luc Descheemaeker (O-Sekoer) - president, Kurt Valkeniers (Klier), Jean-Marie Matheus (Quirit), Cécile Bertrand, Ronald Vanoystaeyen, Jitet Kustana, Marc de Bel, Cristina Sampaio, and Peter Nieuwendijk. The organizer of the cartoon contest, Saskia said that the committee was pleased to see the fantastic winner of the 22-Euro-kartoenale Kruishoutem The Wall.